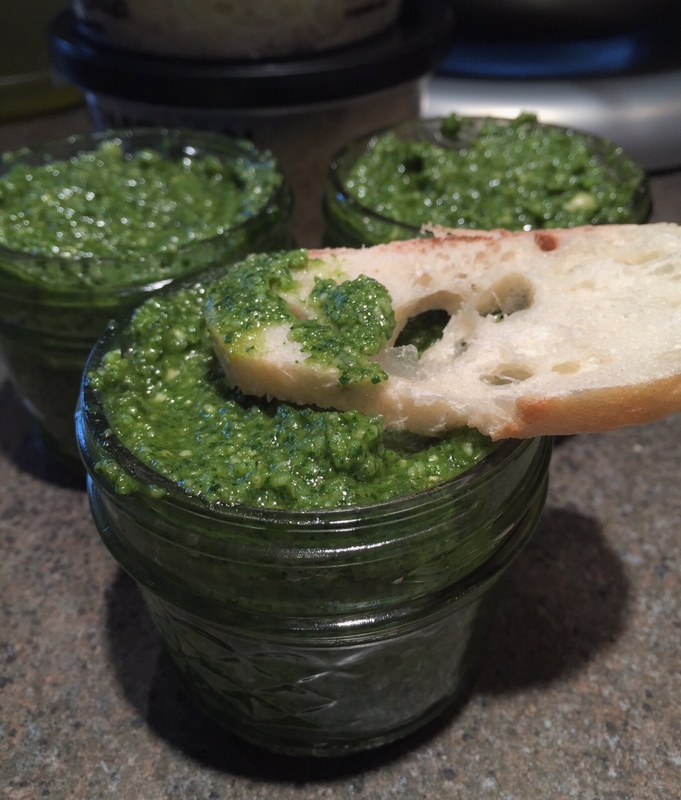 Pesto – nothing reminds me of summer like fresh pesto – ok, maybe a good rosé. We grow enough basil to yield multiple batches during the summer. This is my recipe below. 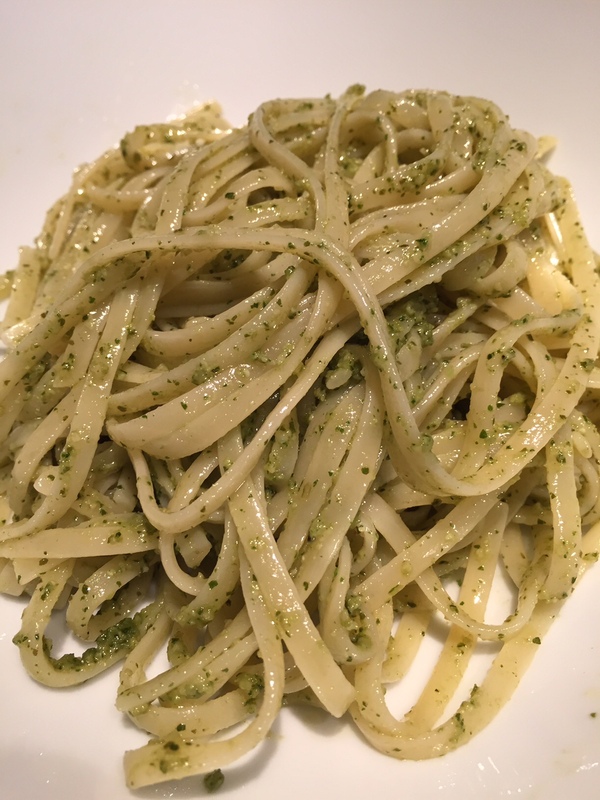 We use pesto throughout the year: as a spread for bread, on fish, sometimes steak, or just on pasta as shown above. Place all the ingredients in a food processor with the larger blades. Pulse the processor until the mixture has the consistency of a coarse sauce. Adjust ingredients to your taste.